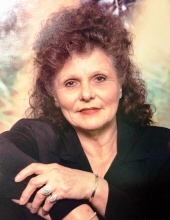 Dorothy Marie Pigg, age 78, of Cullman, Alabama, passed away at 5:58 a.m. on Monday, February 4, 2019, at the Mt. Vernon Place Care Center. She was born October 14, 1940, in Dade County, Florida, the daughter of Wyatt Harvey and Velma Amelia (Taylor) Fincher. Dorothy was in the trucking business with her husband John Ottis Pigg. He preceded her in death on December 4, 2004. Dorothy is survived by her five children, Sherry Winton and her husband, Byron, of Cullman, Alabama, Alisa Howard and her husband, Larry, of Miller, Missouri, Cheryl Pigg of Cullman, Mark Pigg and Jeanette, of Cullman and Kimberly Kniffen of Atlanta, Georgia; eight grandchildren, four great-grandchildren and one great-great granddaughter. Her parents, Wyatt and Velma Fincher, husband, John, two brothers, Donald and Kenneth Fincher and two sisters, Joyce Black and Virginia Goodwin, preceded her in death. A graveside service will be held at a later date at the Valley Springs Church Cemetery in Good Hope, Alabama. Arrangements are under the direction of the Fossett-Mosher Funeral Home in Mt. Vernon, Missouri. Memorial donations may be made payable to the Diabetes Association, in care of the funeral home. To plant a tree in memory of Dorothy Marie Pigg, please visit our Tribute Store. "Email Address" would like to share the life celebration of Dorothy Marie Pigg. Click on the "link" to go to share a favorite memory or leave a condolence message for the family.